Q. Can you make real bird wings and fly? A. No you cannot, unless you have real bird wings. Fine, we will therefore have to resort to synthetic materials. 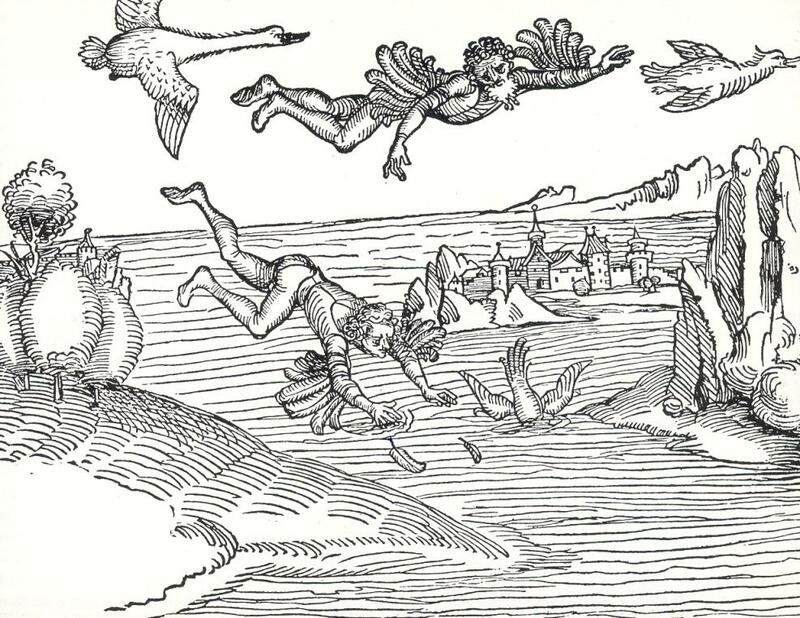 One means of escaping out of this world is through flight. We will not be deterred by reason or common sense to abandon the most noble of all human objectives. Where countless mystics failed and broke their bodies, we will fly like angels. Below is a simple guide of how you can fly, without the use of recreational drugs, hot air balloons or convention-al aircraft. 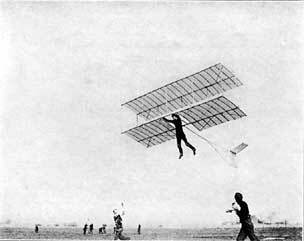 It is based on the tried-and-tested methods of Icarus, Ibn Firnas, Jauhari, Eilmer of Malmesbury, Jean-François Pilatre de Rozier and Steve Fossett. 1. Create large air-propelling wings, using the diagram below. Recommended materials include nylon and PVC pipes. 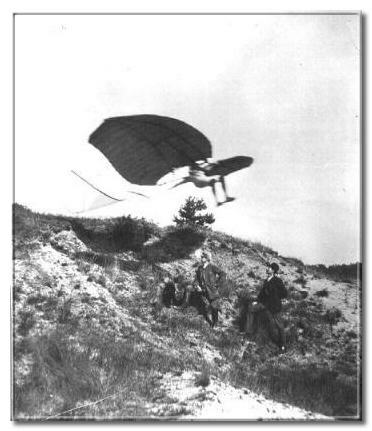 If you are unsure about this, obtain a second-hand hang-glider as a safer alternative. 2. Locate an appropriate launching point. You will need a sufficient height to allow enough time after falling to pick up momentum. Recommended points include car parks, the top of council blocks, the top of high work places where applicable. Generally avoid natural cliffs except when you can be certain the wind is blowing in your intended direction. Use a crowbar or pretend to carry out a health and safety risk assessment in order to obtain access. A high visibility jacket helps. 3. Inform friends and relatives that you are going to fly, and that this experimental mode of travel is no more dangerous than a journey on the 149 bus on a hot Friday afternoon. Ensure someone is aware of your method before you embark. 4. Visualise your flight beforehand. Ensure you have an end-point in mind and be aware of any visible land-marks. Also be prepared to compromise. When John Effra carried this out, he intended to reach Berlin but ended up in Rotterdam. Bring a compass and some bottles of water with you, and dress warm. 5. Fly and soar like the birds, anywhere out of this world. Posted on February 11, 2011 July 22, 2011 by JD Taylor	This entry was posted in Living. Bookmark the permalink.